Oil on canvas 16x20. 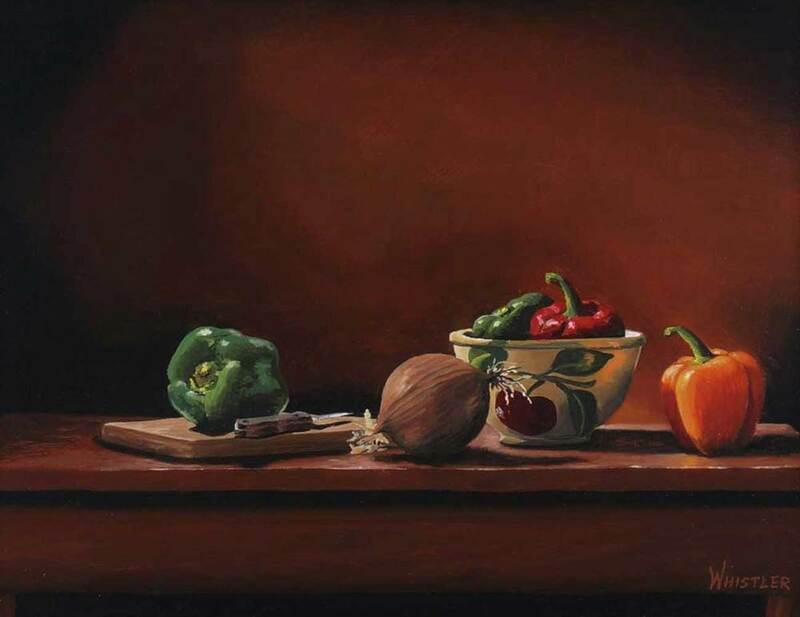 Antique bowl with Peppers and onion, with a beam of light, highlighting the table top. Framed with a very nice walnut frame. Ready to hang. 5" x 6.25"6" x 7.5"7" x 9"8" x 10.25"9" x 11.5"12.25" x 15.5"